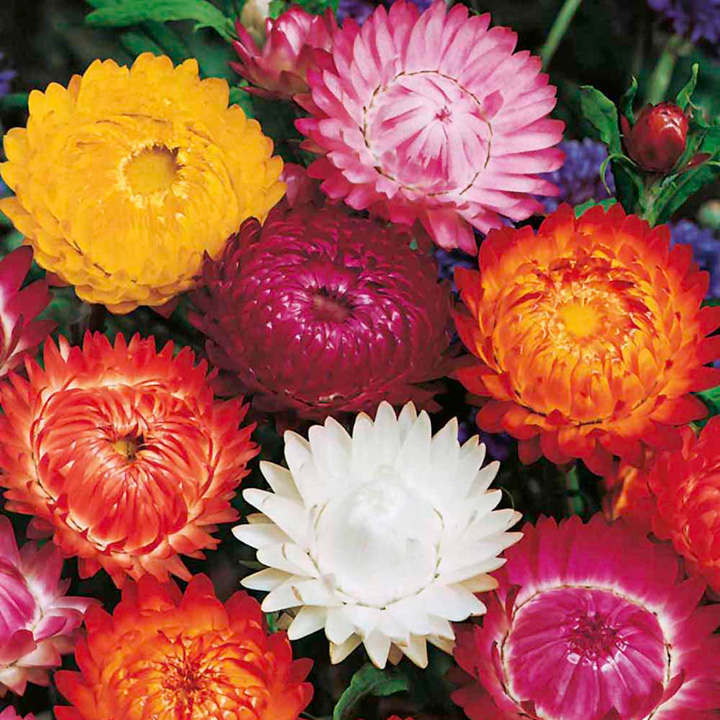 These flowers come in shades of rose, crimson, yellow, orange and white, and they dry incredibly well. If you pinch out the side shoots, you will be rewarded with a few bigger blooms; do the opposite and pinch out the top shoot, and you’ll get lots of smaller flowers. If you’re drying the flowers, pick them just before the blooms open, or the petals will fall off. Try putting a flower in an empty tea light and floating them in a large bowl of water, it’s an instant winner! Height 105-120cm (3½-4’). HA/HHA - Hardy annual/Half-hardy annual. Sow March-May, flowers June-September; or sow September for flowers June-September the following year. Ideal for beds and borders. For drying, choose blooms that have only just opened. Prefers full sun.